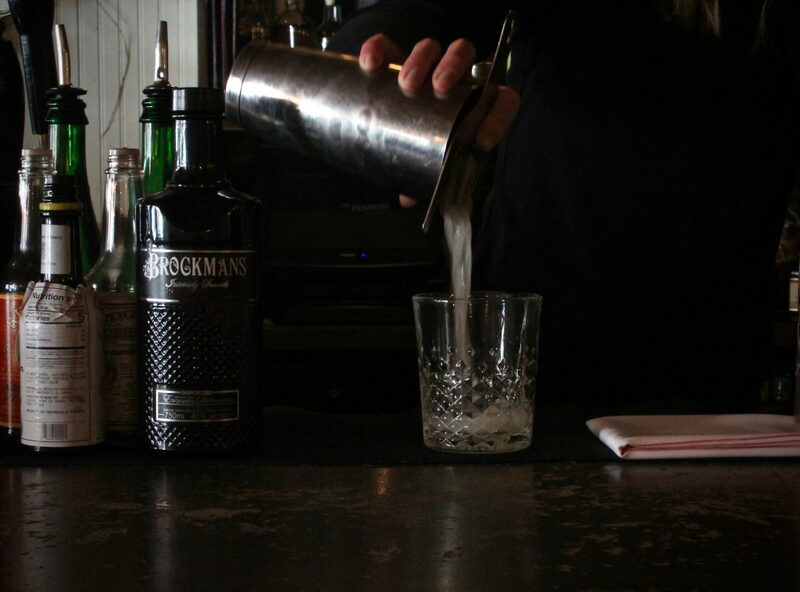 A journey to Manhattan’s Upper East Side is worth it for a proper Brockmans cocktail, a friendly bartender, and a laugh at The Penrose. The Upper East Side of Manhattan is known for many things–museums, brownstones, Central Park, a shiny new subway line. But ask a tourist or a local for a great cocktail and they will likely direct you downtown. Or so we thought, until we stepped into The Penrose. Let us be clear: The Penrose is not one of those tucked-away secret bars, lit only by candles, staffed only by bartenders in vests, and entirely unfindable. Rather, this bar is the complete opposite—approachable, findable, unpretentious, and delicious. There is a palpable pleasantness in the air, that feeling you get when you know that everyone who works there is genuinely happy to be there. Bartender Josie Florance confirms our suspicions. Josie is amiable and easy to talk to. She makes us feel comfortable sitting at her bar, even though we’ve arrived before the doors open. 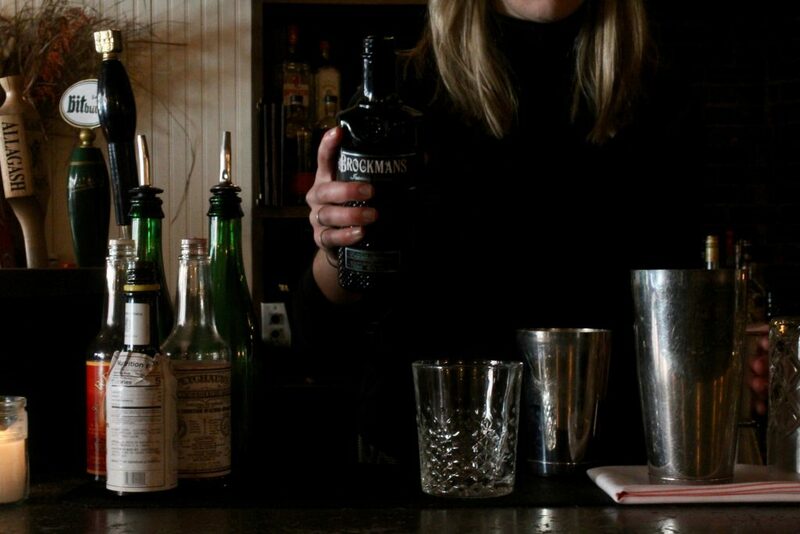 When she talks about the bartending world she reveals genuine excitement to be a part of it, even if it wasn’t always her plan. “I never knew I would end up doing this,” she admits. Having moved to New York from Rhode Island to study graphic design, she, like so many bartenders we speak with, sort of fell into the bar world, not realizing how much she would love it. A quick peruse of the menu shows that the Penrose certainly likes its gin. 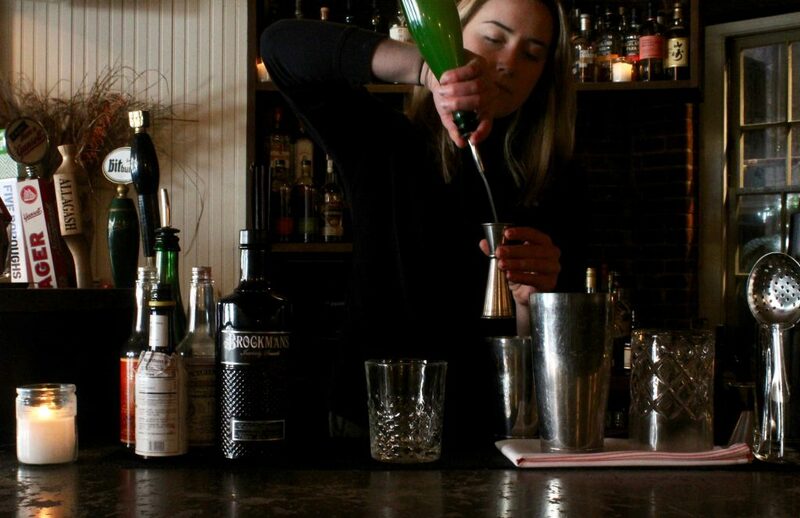 We ask Josie for her take on gin’s status among New York’s drinkers. 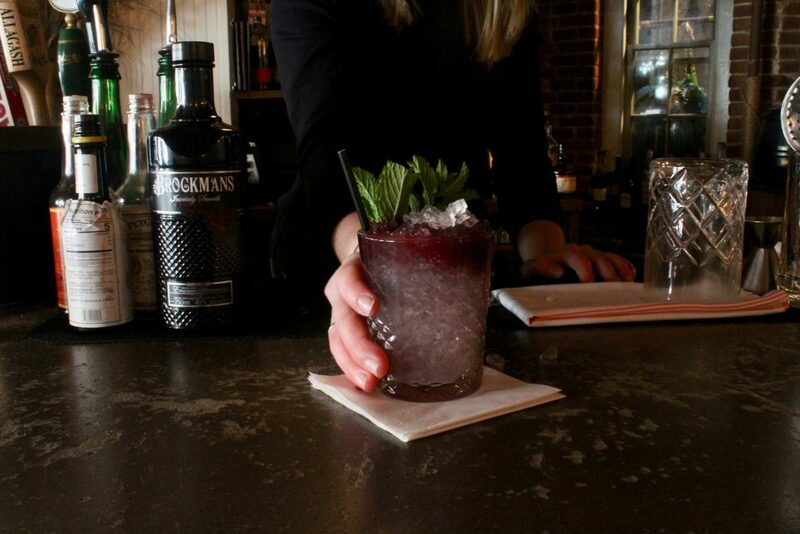 She wants us to know, however, that their Brockmans cocktail, the Blueberry Bramble, is very popular, and has been so throughout its long run on the brunch menu (over two years). “People come during the week, when it’s not technically on the menu, and ask for it specifically,” she says. “You’re going to see why.” She smiles, and grabs a bottle of Brockmans. 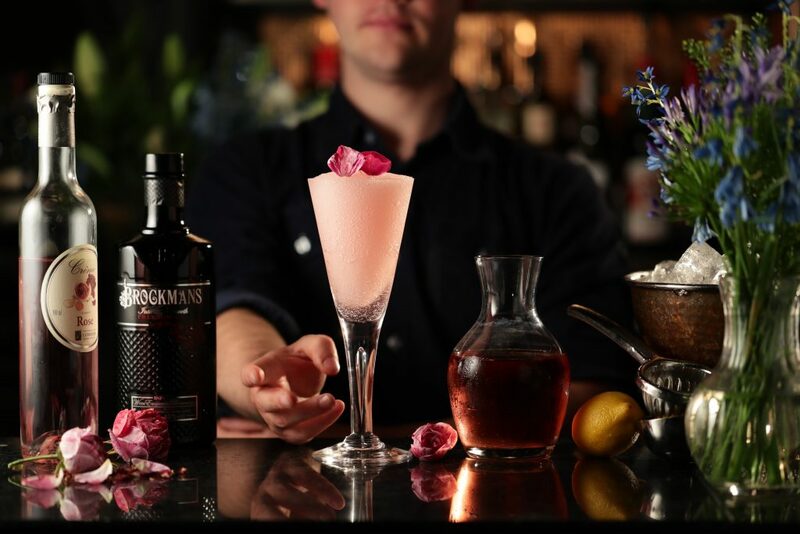 “I will say, if someone is not sure about gin, and are looking to try something new, Brockmans in a cocktail is a great way to start.” We couldn’t have said it better ourselves. Add first three ingredients to shaker. Add ice, shake vigourously for 10 seconds. Strain into a rocks glass and top with crushed ice. Slowly drizzle blueberry syrup over top to create an ombre effect. Garnish with a hefty mint sprig. Add equal parts sugar, pureed blueberries, and vodka to a blender or food processor. Blend until incorporated, then strain.